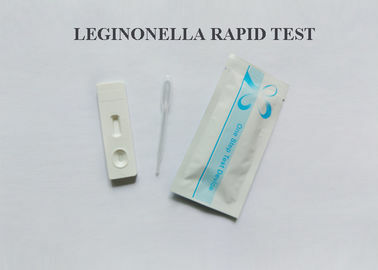 A rapid test for the qualitative detection of Legionella pneumophila antigen in urine specimen. 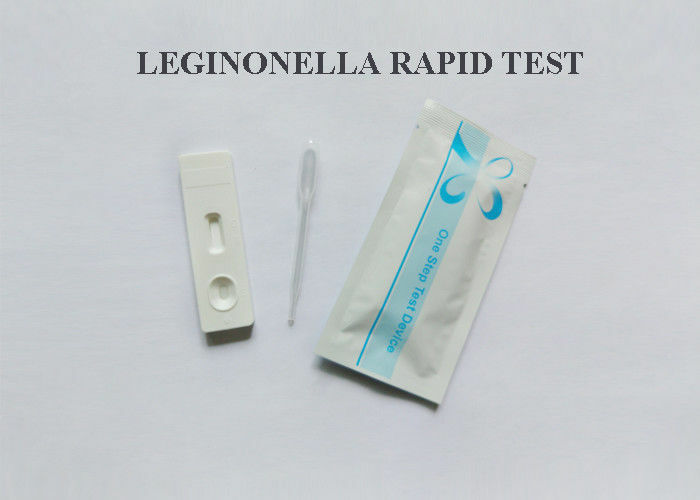 The Legionella pneumophila antigen Test Dipstick is a qualitative, lateral flowimmunoassay for the detection ofLegionella pneumophila LPS in urine samples, the membrane is pre-coated with a anti-Legionella antibodies on the test line region ofthe test. During testing, the specimen reacts with the particle coated with anti-Legionella antibodies. The mixture migrates upward on the membrane by capillary action to reactwith anti-Legionella antibodies on the membrane and generate a colored line. 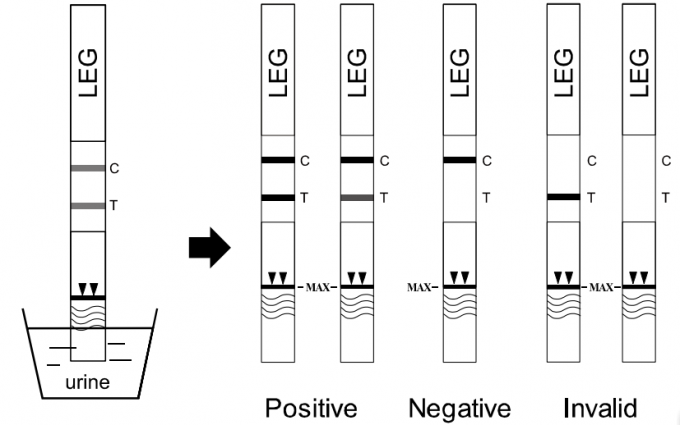 Thepresence of this colored line in the test region indicates a positive result, while itsabsence indicates a negative result. To serve as a procedural control, a colored linewill always appear in the control line region indicating that proper volume of specimenhas been added and membrane wicking has occurred. 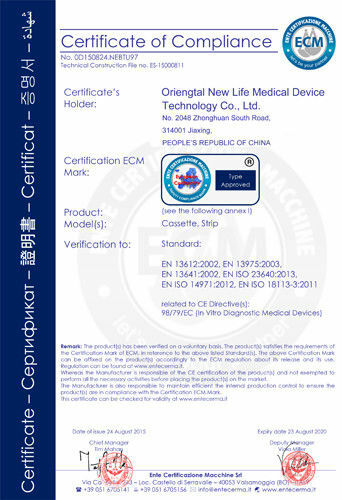 Allow kit components, in unopened packaging, and specimens to reach roomtemperature (15-30°C) before performing a test. 1. Open the pouch and remove the device. Once opened, run the test immediately. 2. Swirl urine gently to mix before testing. 3. With arrows towards pointing toward urine specimen, immerse the test Dipstick vertically in the urine specimen for at least 10-15 seconds. Do not pass the maximum line (MAX) on the test Dipstick when immersing the Dipstick. See illustration below. 4. Place the Dipstick on a non-absorbent flat surface, start the timer and wait for the color line (s) to appear. 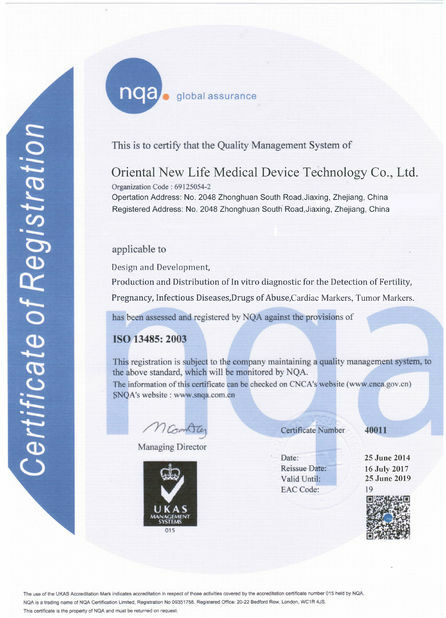 The result should be read at 15 minutes, do not interpret the result after 20 minutes. The kit was evaluated on 189 clinical samples in a National Reference Laboratory in Spain.118 positive urine specimen and 71 negative urine specimen confirmed with the ELISA. Urine samples from patients with respiratory tractinfections other than Legionella infections were tested in a similar manner to test thespecificity of the kit.